An English Homestead: IT'S A BOY!!! Warmest congratulations to both of you - WELL DONE, Mama and Papa! :) Alistair is a very handsome baby and such an entrance he made! Hahahaha!!! Congratulations to you and your family. As self-sufficient and contained as ever! Congratulations!! A special day indeed - in more ways than one! Well done to you both, wow! Congratulations and now Kev, you won't be so outnumbered. I was really hoping it would be a boy. How wonderful! Many many congratulations. 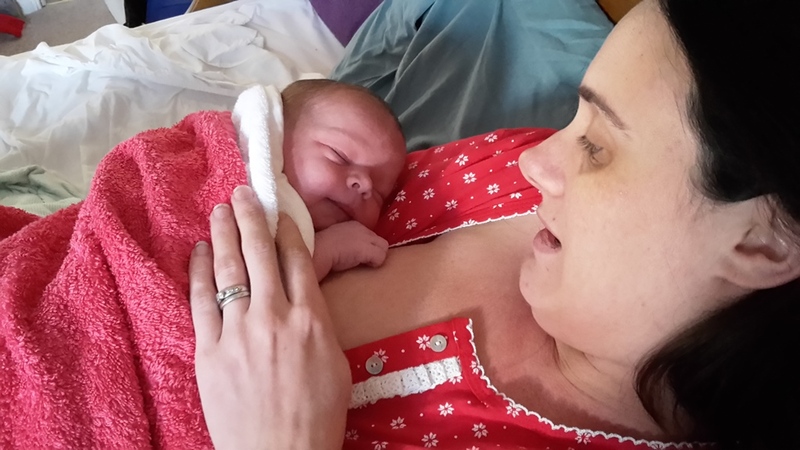 A huge welcome to baby Alistair. Congratulations and what an amazing birth experience. Wow, fabulous, what an experience!!! Many congrats! Glad all went well! Big, huge congratulations on the birth of your new son! The fact that he was able to make his appearance in his very own loving home makes it super-special. Not everyone could/would have done it that way but you two did. Warm wishes to you all! oh Kev....we are soooo happy for you! you got yourself a boy! i am amazed at how well your wife did, and the same to you! you are both probably still reeling from it all, and the excitement too...but what a memory for you and your wife! little Alistair is beautiful and has 2 beautiful sisters to take care of him throughout his life. tell your wife congratulations and kudos - she did amazing! How awesome is that? I had tears in my eyes reading this post. 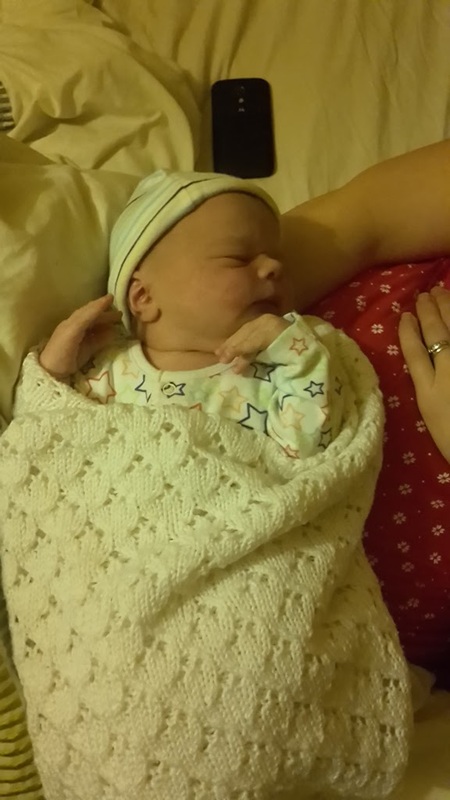 Alistair is just gorgeous, CONGRATULATIONS! That's Great Man!!!! You are now saved from the same fate as my uncle who had three girls. He built him a little room in the basement and never came out for like 20 years I hear unless male family members came over for holidays. My goodness! How absolutely perfect! Congratulations to you all. Congratulations. I always knew you were a survivalist at heart. If you lived here I'd try to recruit you for our group! Congratulations, what a beautiful baby and an awesome family! Have been reading for a while but never commented, what better occasion to start than this! Enjoy life, little Alistair! Lovely news, Congratulations,with 2 big sisters to look after him he will be one cuddled little fella! Col says - good practice for lambing!! Wow, I'm welling up here, takes me back to one of my births that was at home. What a lucky little boy, he'll have 2 big sisters to look after him and congratulations. Of course with all of your do it yourself it was the only way to do it wasn't it? Congratulations to you all..enjoy your little bundle..
Congratulations, he is so beautiful! Congratulations, he is a handsome boy. PS Girls can also carry on the family name. Best wishes to you all. i am so happy for all of you and bravo to your wife! i wish you all much happiness! Congratulations to you and Mrs. Kev - beautiful baby boy to join his beautiful sisters. You are very blessed. That's the first lambing session over! How wonderful couldn't wait to get to meet you. Many blessings. How absolutely lovely. Congratulations and best wishes. Alistair is gorgeous, just like his big sisters, you're blessed with a beautiful family! I'm so pleased you've got a son, not quite so outnumbered now hey? Congratulations!!! What a beautiful family you have. The girls will be very helpful to mom. All the best to all of you. 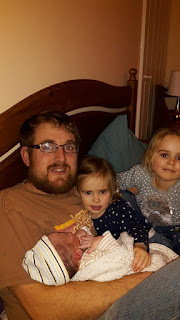 Just had time to read blogs and you all have a Boy!! Congrats!!!!!!!!!!!!!!!!!!! Congratulations and best wishes! How lovely that you now have a son! Congratulation Alviti family. Especially to Mama Alviti doing it all at home. I love the name as well. I bet the girls are all over him.